The newest installment of the Nintendo Minute web series has gone live and this time the game of the hour is Paper Mario: Color Splash. The video gives us a good look at some game-play from the title and we get to see the customary world map and scenes from the Golden Colosseum, including exploration and combat. We also see how you can earn various bonuses during combat depending on your performance; for example, a bonus for not taking damage during the battle. 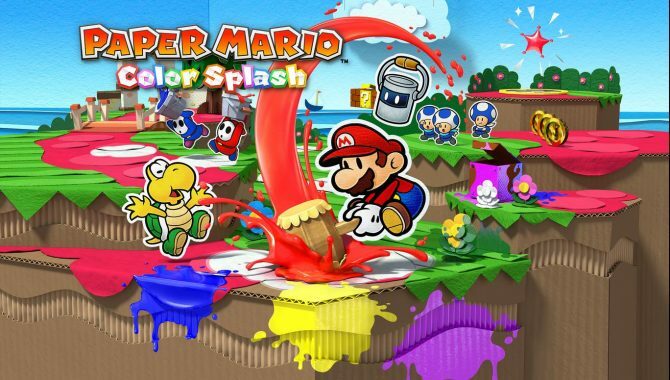 Paper Mario: Color Splash is due out next month.